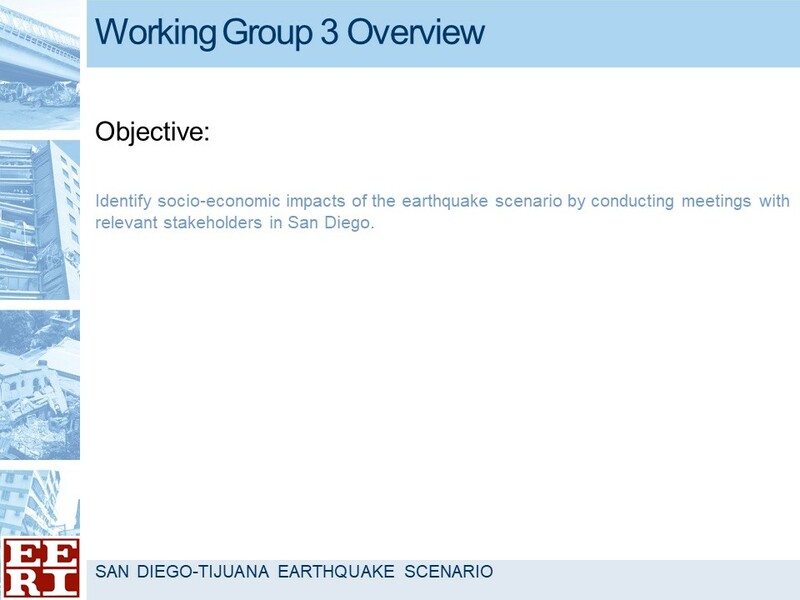 Working Group 3 is focused on identifying socio-economic impacts and examining the relationship between the built environment and the social and economic factors that define life in the region. 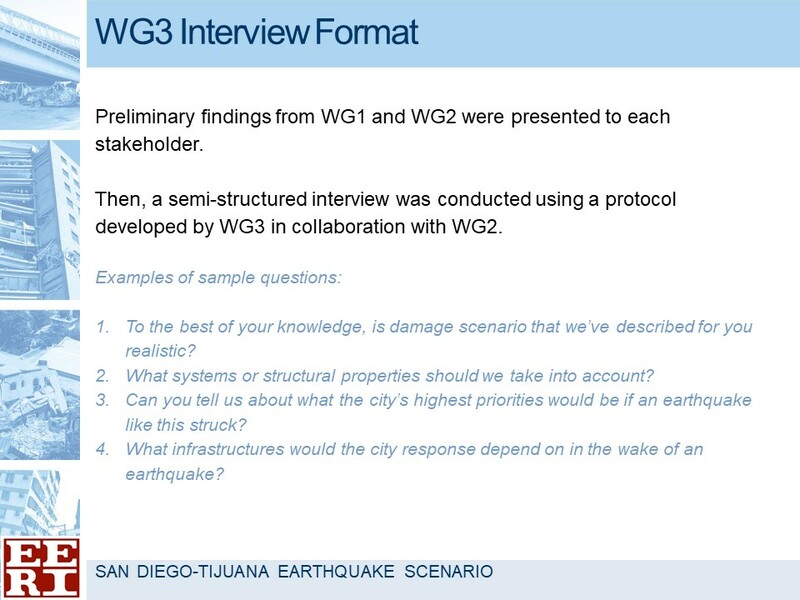 The group is also working with stakeholder groups, demographic data and the buildings and infrastructure damage assessments from Working Group 2 to identify the critical and catastrophic regional socio-economic disruptions potentially caused by the scenario earthquake. 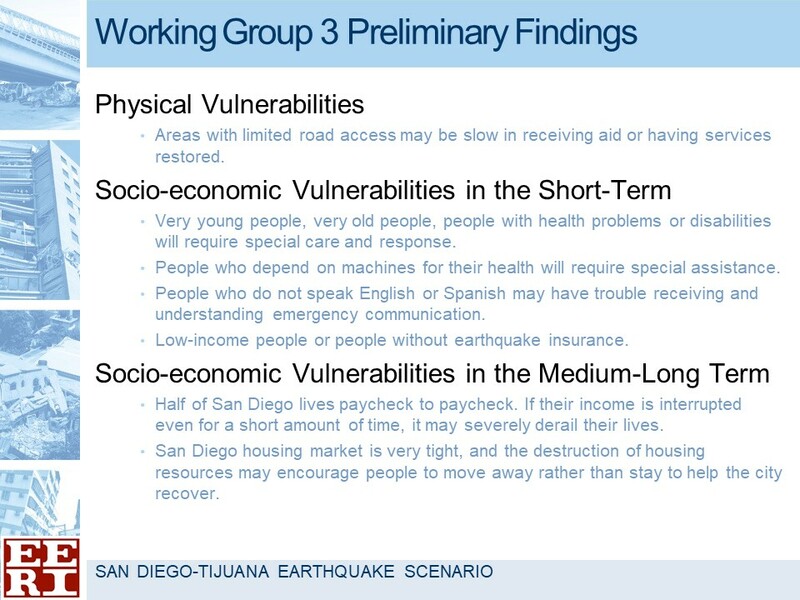 For Working Group 3, it is critical to identify key services and industries that will be disrupted and estimate the economic consequences in terms of recovery times, employment disruptions, and economic losses. 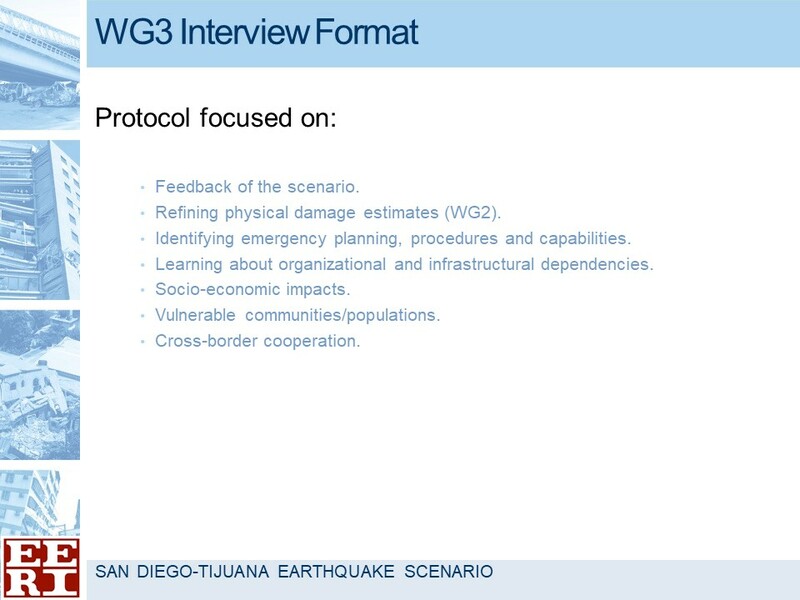 Ultimately, Working Group 3 will be working with the rest of the scenario team and with stakeholders to develop hazard mitigation policy recommendations for use by regional planners and policy makers to help foster a more earthquake resilient bi-national community. 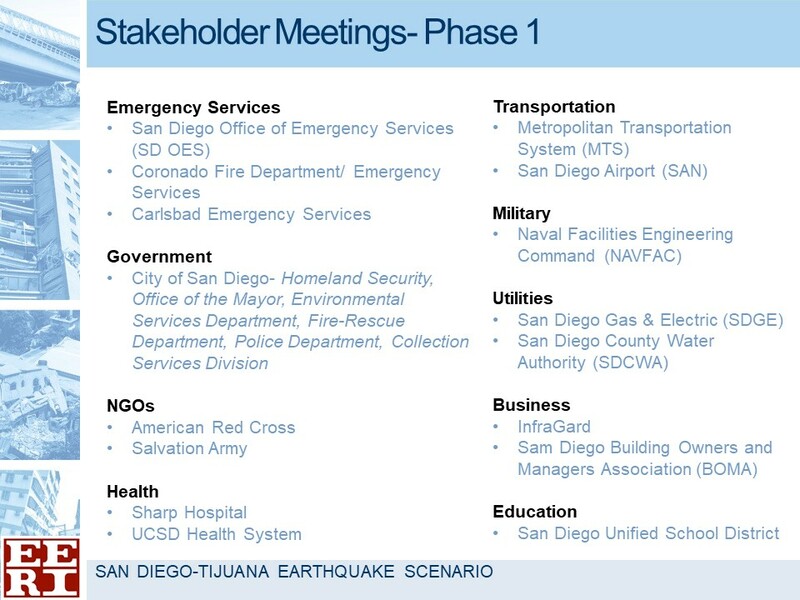 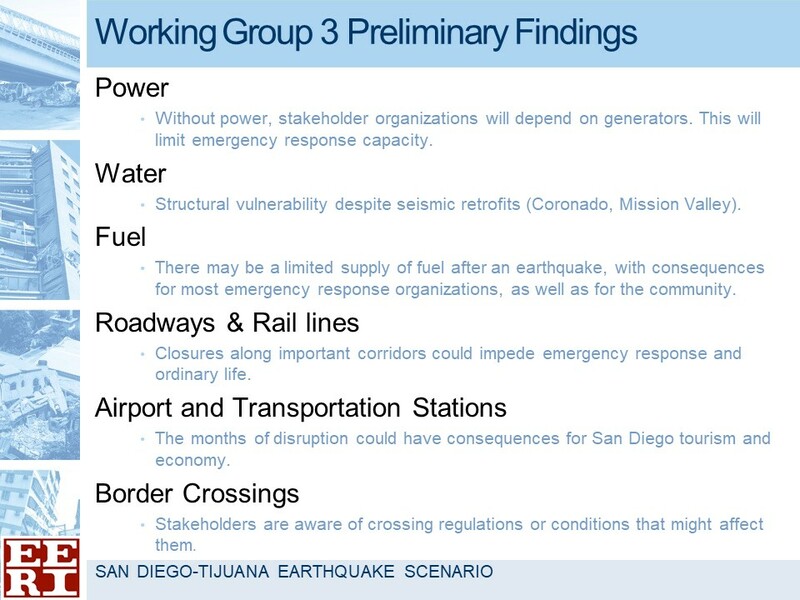 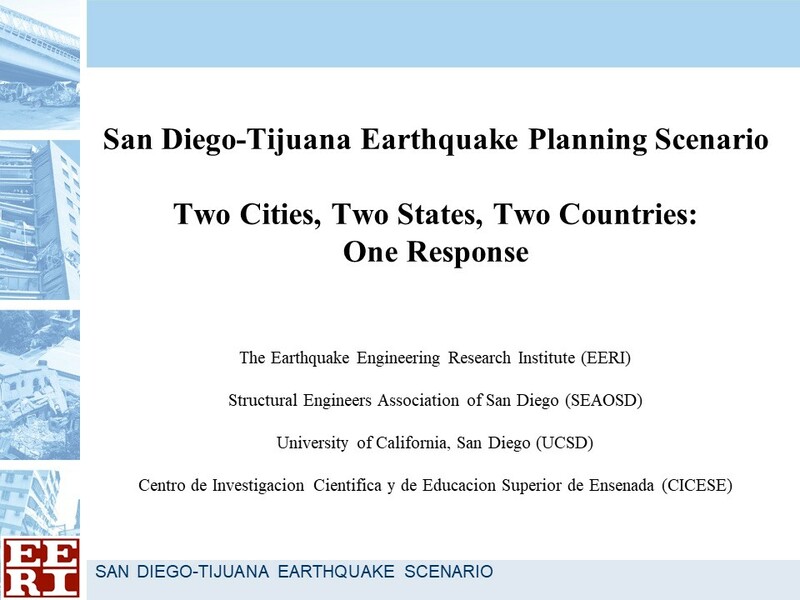 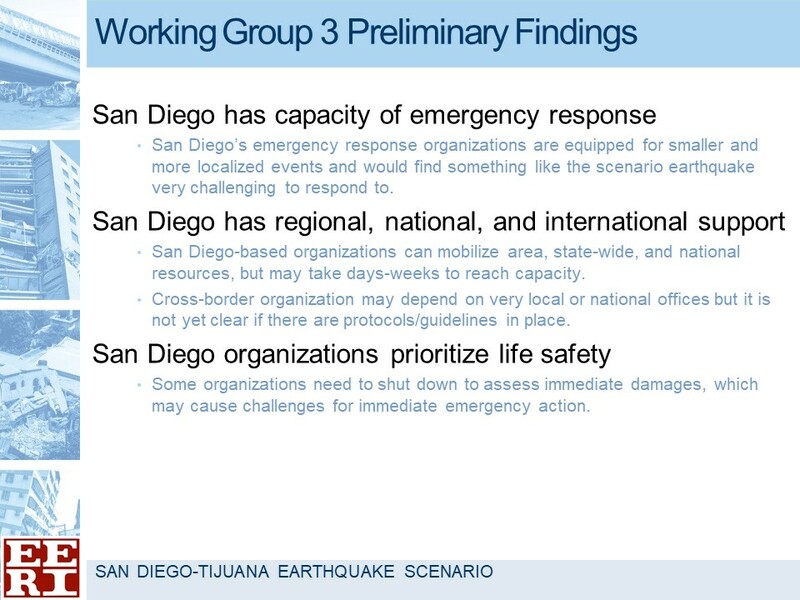 Working Group 3 is meeting with relevant stakeholders in San Diego to engage in a discussion around the social and economic impacts of the scenario earthquake.